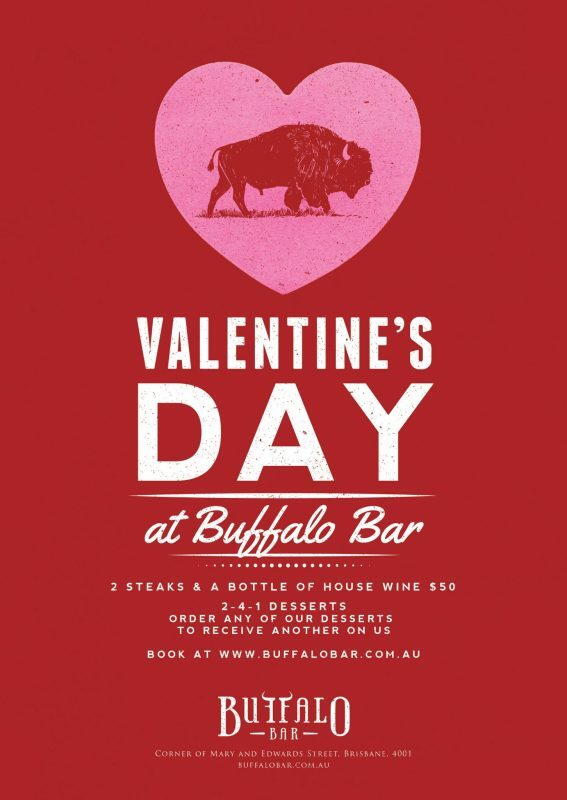 Celebrate with someone special this Valentine's Day at Buffalo Bar! Enjoy 2 steaks & a bottle of house wine for $50. Available for lunch or dinner. After something sweet? 2-4-1 desserts all day! Order any one of our desserts and receive another on us.